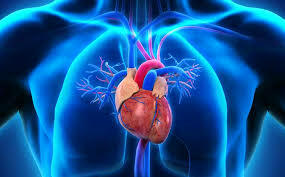 It refers to diseases of the heart muscle, where the heart muscle is abnormal. It makes it difficult for the heart to pump and deliver blood to the rest of your body. It can also lead to heart failure. Dilated cardiomyopathy: It is the most common type and in this the pumping ability of your heart’s main pumping chamber, the left ventricle becomes less forceful. The left ventricle becomes enlarged and can’t effectively pump blood out of the heart. It occurs most often in middle-aged people and is more likely to affect men. Hypertrophic Cardiomyopathy: This includes abnormal thickening of heart muscle, particularly affecting the muscle of heart’s main pumping chamber, left ventricle. It can develop at any age, but the condition tends to be more severe if it becomes apparent during childhood. Restrictive Cardiomyopathy: In this, the heart muscle becomes rigid and less elastic, because of this the heart can’t properly expand and fill with blood between heartbeats. It affects older people more. Arrhythmogenic right ventricular dysplasia: In this, the muscle in the lower right heart chamber is replaced by scar tissue. This can lead to heart rhythm problems. If the person is diagnosed with dilated cardiomyopathy, a doctor may recommend treatment including, medications and surgically implanted devices. If the person is diagnosed with hypertrophic cardiomyotherapy, a doctor may recommend several treatments including, medications, ICD, septal myectomy, and septal ablation. If the person is diagnosed with restrictive cardiomyotherapy, a doctor may recommend to pay attention to salt and water intake and monitor weight daily and a doctor may focus on improving symptoms. If the person is diagnosed with arrhythmogenic right ventricular dysplasia, a doctor may recommend treatment including, ICD, medications and radiofrequency ablation. Cardiac transplant therapy may be suggested for end stage cardiomyopathy.